The Texas Legislature is spending $20 million on anti-abortion program funding. Texas, in total, will spend $38 million on anti-abortion materials, infant formula, and support for unexpected parents. This new budget is four times the amount of its original starting budget in 2006. Pro-life groups argue it will save the state money in the long term because the programs will teach new mothers how to become financially independent and not rely on Social Services. 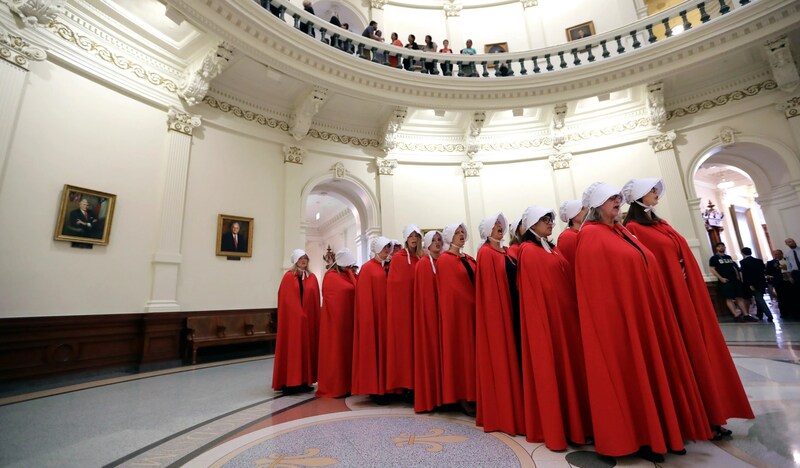 The Texas Legislature’s budget for the next two years includes $20 million more in funding for a controversial program that seeks to discourage women from getting abortions in the state. Alternatives to Abortion uses contracted providers to offer services such as financial counseling and support groups for new parents, as well as children’s items such as car seats and infant formula. The extra money puts the program’s total operating budget at over $38 million, the highest it’s been since it began in 2006. The Texas Health and Human Services Commission, which oversees Alternatives to Abortion, said in a report it plans to use the funding to extend services for new parents until the child’s third birthday and connect pregnant mothers to financial assistance programs such as Medicaid, CHIP and food stamps. The commission also plans to expand job training and placement for mothers under the program, which will “lead to greater self-sufficiency and lower reliance on health and human service programs across the lifespan,” according to the report. State law requires the Health and Human Services Commission to report funding needs to the governor and Legislature. Funding is allocated in two-year periods and has steadily grown each legislative session. The 2018-2019 period’s $20 million increase is the largest in the program’s history — four times its starting budget in 2006. The last increase was an additional $8 million beginning in 2016. Anti-abortion groups have long lobbied to get greater funding for the program. Joe Pojman, executive director Texas Alliance for Life, said he was “ecstatic” to hear about the funding increases, saying it demonstrates the state’s priority in limiting abortion. Pojman said expanding Alternatives to Abortion will save the state money by making helping new mothers become more financially independent and equipped to care for their children, lowering the number of parents relying on state social services. Texas has been characterized by abortion-rights activists as being particularly restrictive toward accessing abortions. The state passed a law this year banning dilation and evacuation abortions — considered the safest method of abortion — prompting outcry from abortion doctors and a lawsuit from abortion-rights activists. Last year, the U.S. Supreme Court ruled against a 2013 Texas law that placed extra requirements on abortion clinics and banned abortions after 20 weeks of pregnancy. Heather Busby, executive director of NARAL Pro-Choice Texas, dismissed the notion the program saves the state money, saying it takes money away from family planning and health care services for parents. Busby also questioned the notion that low-income beneficiaries need help to find and maintain work, saying many of them are already working parents struggling to financially support their children. Rather, she said the state should establish better worker protections to help low-income families earn a living wage. Busby said the organizations that provide services from Alternatives to Abortion are often religiously motivated and may not provide the health care services pregnant women need. “Clearly the state is prioritizing ideology over public health because a true alternative to abortion would be ensuring access to health care, especially family planning,” she said.